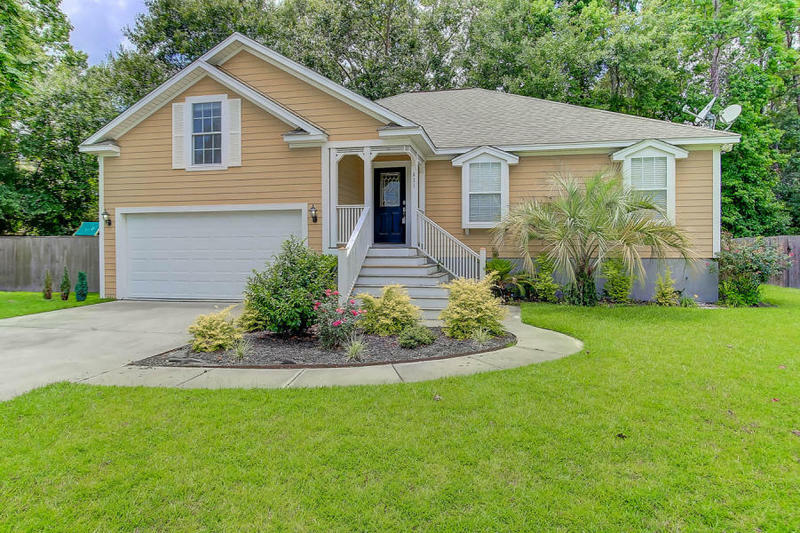 This home is a great combination of a fantastic James Island location, open & spacious floorplan plus a backyard meant for family fun & entertaining! Gorgeous hardwoods are throughout the living, dining & kitchens areas with granite counters and lots of windows for great natural light. The yard is fenced with a wrap around deck plus raised beds for your gardening - numerous herbs & veggies are already growing! The master bedroom has tray ceilings with a walk-in closet & the master bathroom has dual sinks, soaker tub & stand-up shower. Two other bedrooms share a full hallway bathroom. Upstairs is a spacious bonus room that can also be used as 4th bedroom. Other features include gas fireplace, 2 car garage, fenced yard, kids swing set & more. Call today for a private showing of this home.